This buggy is scheduled to make its first appearance at VW’s press conference at the Geneva Motor Show on March 5. 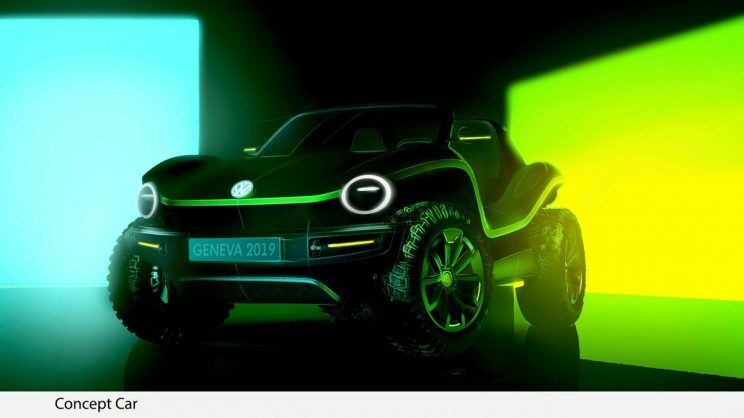 Volkswagen announced on Thursday that it is bringing a 21st-century-styled, roofless, door-less dune buggy to the Geneva International Motor Show in March – and this time it’s electric! The company modeled the concept vehicle, coined the ‘e-buggy,’ on the “legendary American dune buggies from the 60s and 70s” but gave it a contemporary twist by basing it on the modular electric drive matrix (MEB) platform instead of the Beetle basis. While it holds true to the conventional buggy style, it also demonstrates how a “modern, non-retro interpretation of a classic can look” as VW Head Designer Klaus Bischoff stated. The true purpose of developing this concept buggy, however, was to demonstrate the flexibility of the MEB platform which can be used for both large-scale series production models as well as for low-volume niche series just like the Beetle chassis from our memories. This ultramodern buggy is scheduled to make its first appearance at Volkswagen’s press conference at the Geneva Motor Show on March 5.